The companies within our group develop and produce detergents and cleaning products as well as air fresheners. Within our organization we employ more than 300 people at the locations Herrenberg, Vlotho and Lemgo (Germany), Affoltern am Albis (Switzerland), Istanbul (Turkey) and Singapore. The Board of Directors is responsible for the overall management of the Buck Group and makes all fundamental strategic decisions. Born in 1947, studied as an industrial clerk for business and market economy (BA) following an apprenticeship at colordruck in Baiersbronn. 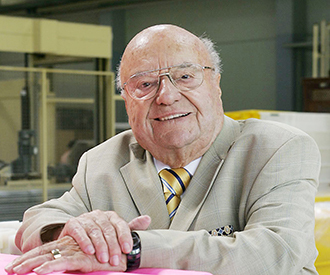 He later took over sales management tasks as authorised signatory at colordruck, where he later became Managing Director and ran the company for 23 years until his retirement. He has had links with Buck Chemie GmbH since 1974. Herbert Klumpp now works as a corporate consultant and has been a non-executive member of the Board of Directors since 2013. Born in 1953, was CEO of Buck Group from 2013 until he retired in 2015. He studied chemical engineering in Aachen/Jülich. 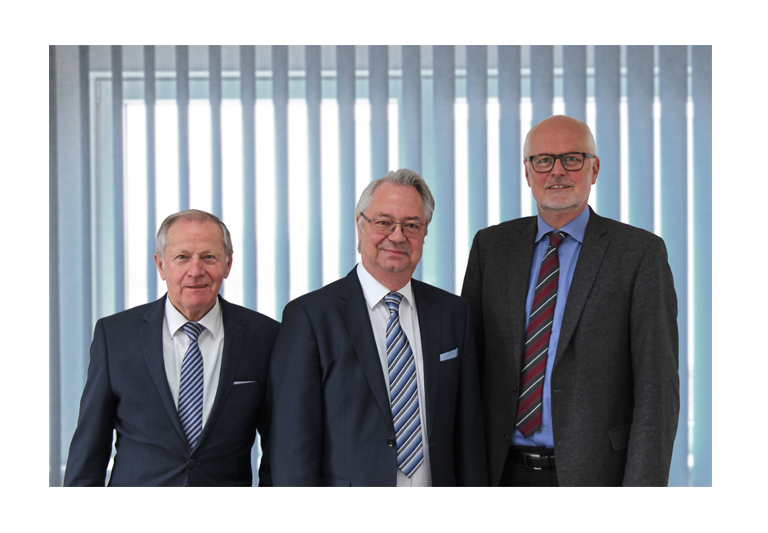 He joined Buck-Chemie GmbH in Herrenberg in 1978 and was Managing Director of the company from 1985 to 2015. He has been a member since 2013 and Chairman of the Board of Directors since 2019. Born in 1956, law studies in Tübingen and Freiburg. After completing the doctorate, he joins the tax administration of the state of Baden-Württemberg. Since 1989 self-employed lawyer specializing in corporate and commercial law. Dr. Jürgen Riegl has been a legal advisor to Buck since 2000. He has been a member of the Board of Directors since 2019. The members of the management run the business of their division and the associated companies. Born in 1960, holds a degree in business administration, which he completed following several semesters of studying mechanical engineering in Pforzheim. He began his career at Hewlett Packard. Following posts at MOOG, he joined Buck-Chemie GmbH in 2012 as Sales Director and since January 2013 has been its Managing Director, as well as head of the Production Solids and Liquids. Born in 1968, studied political science in Istanbul. Following various positions at Kraft and Danone in Turkey, she has worked for Buck Avrasya Ltd. since 2014. She has been Managing Director there and head of the New Markets Division since 2015. Born in 1971, studied economics in Chur, Switzerland, and is a qualified chartered accountant. Following his career at PricewaterhouseCoopers, he worked in various senior management positions in finance and accounting at a number of international industrial enterprises. Since 2014, he has been Managing Director of Buck Group AG and the Buck Group. Born in 1962, studied chemistry, biology and biochemistry in Bonn, Tübingen and Halle. Since 1994, he has worked as a chemist in the cleaning technology sector. He joined Buck-Chemie GmbH in 2006 as head of Development and in 2012 moved to strategic product development at Buck Group. He is the Managing Director of Buck Service GmbH and head of the Research and Development division. Born in 1966, trained as a chemical technician and industrial clerk at Henkel, where he worked and held several different positions. In 2000, he moved into the management of various companies in the chemicals sector. He has had a holding in Messing & Keppler GmbH since 2003 and was appointed Managing Director of ORO-Produkte Marketing International GmbH in 2007. He is head of the Sales Private Label and Production Liquids divisions. Our long-established reputation is built on creativity and ingenuity. The powerhouse behind our innovative projects is the Research & Development division in Herrenberg. We liaise with technical colleges, universities and research institutes to ensure that we always keep abreast of the latest technological developments. In addition to knowledge and skills in the chemicals field, we also focus on processing and packaging technologies. The result of our innovative strength: we have created more than 50 patent families in Europe and over 15 other countries to date. A number of industrial design and design patents round off our portfolio of intellectual property rights. The swabian tinkerer and chemist Karl Buck invented the first WC-cleaning block and, aged 54, took the brave step of founding our company. His wife sold the first WC-cleaning blocks at her chemist’s store in Stuttgart. Buck-Chemie was set up in 1966 to begin industrial-scale production of the WC blocks. The company has grown steadily from that time onwards. Following Karl Buck’s death in 2010, the company was reorganised under the umbrella of Buck Group AG 2013, with a new forward-looking strategy. 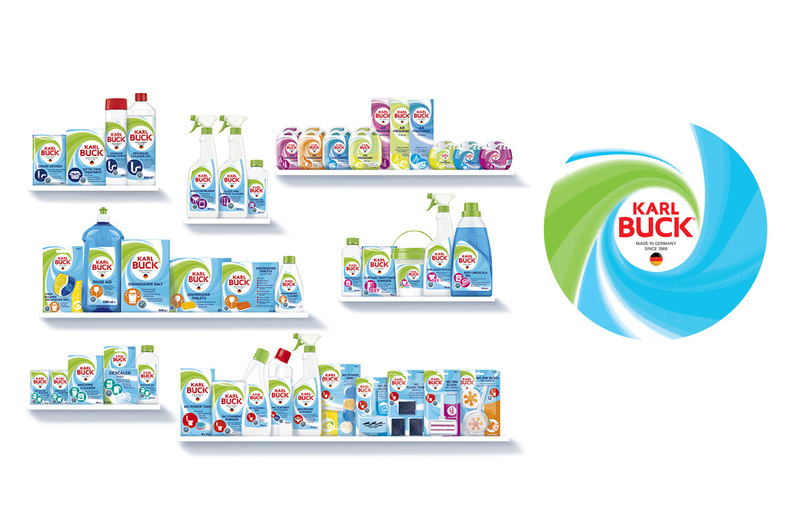 The origins of Buck Group date back to Karl Buck, who founded Buck-Chemie. Karl Buck was a chemical engineer who in his spare time developed various products for his wife, Anna Buck, who ran a pharmacy. During the 1950s, when the standard toilet-cleaning product was concentrated hydrochloric acid, he began researching a safer method of cleaning. The result: the predecessor of today’s WC cleaning block – a product to be hung in the toilet, distributing cleansing power with each flush. It was registered with the German patent and trade mark office in 1965 as “WC-66”. This laid the foundation for Buck-Chemie GmbH, which Karl Buck founded in 1966. He worked at the company for the rest of his life. Karl Buck was born on July 24th, 1912 in Stuttgart-Feuerbach. His life was shaped mainly by his experiences in the period after WWI, as well as his time as a soldier and as a prisoner of war during the second world war. Buck was a trained lab technician and chemical engineer. Karl Buck was actively involved in shaping the company’s fortunes right up until his death on October 16th, 2010 at the age of 98. Our powders production specialises in mixing and bagging non-liquid detergents and cleaning products, as well as industrial blends, in the form of the automated packaging of powder and bulk goods in sachets weighing 15 -500 g, in collapsible boxes weighing 150 - 500 g and in 0.5 -1 kg bottles or containers weighing 1- 25 kg. Our liquids production specialises in mixing and filling fluid and viscous substances in volumes of 100 to 10,000 litres. Our filling capacity ranges from manual filling with batch sizes beginning at 500 units to fully-automated filling of more than 3,500 units per hour. Highly efficient machines developed using state-of-the art technologies can handle filling volumes of 25 ml to 5,000 ml. Our solids production specialises in manufacturing solid products using innovative extrusion processes and combining these with other new technologies such as compacting by means of compression technology. Our production facilities comply with the highest quality standards. All production facilities are certified according to DIN EN ISO 9001 (quality management), DIN EN ISO 14001 (environmental management), IFS HPC (quality and safety) as well as A.I.S.E. guidelines (voluntary undertaking to comply with the “sustainable washing and cleaning charter”). Buck-Chemie GmbH and Buck Powder GmbH are also certified pursuant to DIN EN ISO 50001 (energy management). We manufacture in Germany in compliance with all German environmental and product safety laws. Are you about to embark on a degree or professional training course, or are you planning the next step in your career? Welcome to our group of companies. Exciting national and international opportunities await you! We are not a listed company, driven by quarterly results, but a group of companies with a common long-term goal. Even following the death of company founder, Karl Buck, the Buck-Group has continued to be run like a family business. The positive effects of this approach are evident in our corporate culture and the way we do business. Long-term goals are especially important to us where our staff are concerned: we want to provide lifelong opportunities. We encourage education and training, as well as facilitating a variety of options for working in different areas within the company group – all in the fascinating, hands-on consumer goods sector. Additional benefits, such as social rooms, company events, etc. Our work makes a difference, both for our company and for our clients. We truly embody the values and maxims of our guiding principles. As such, maintaining our existing sites and jobs is our top priority. Tell us why you would like to work in Research and Development, Marketing or Sales. What are your key skills and talents? What appeals to you most about our company? Tell us why we should get to know you better and send your application to info@buck-group.com. Please send your application in digital form only and as a pdf. While the information contained on this website was compiled with the utmost care, we do not accept any liability for the accuracy and precision of the information contained herein. We shall not accept any liability whatsoever for third-party content on linked websites. Buck Group AG expressly distances itself from any illegal and unethical content on linked websites. The contents of this website are subject to copyright protection. Any use for commercial or other non-private purposes is subject to the consent of Buck Group AG. 1.1 The following privacy statement applies to the processing of personal data by Buck Group AG, Obstgartenstrasse 3, CH-8910 Affoltern am Albis, E-Mail: info [at] buck-group.com as the controller as defined in Article 4 of the EU General Data Protection Regulation (hereinafter, the “GDPR”). Please forward all inquiries in writing Buck Group AG, Obstgartenstrasse 3, CH-8910 Affoltern am Albis, e-mail: info [at] buck-group.com.